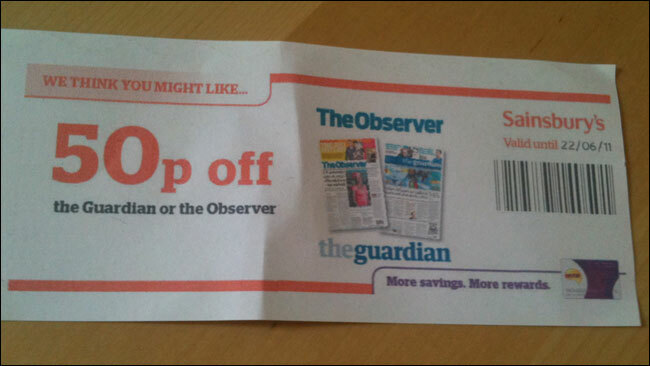 By Martin Belam on 1 June 2011.
:D i would rather be 50p off something other than the guardian!.. but each to his own! Blimy good onld sainsburys I'd hate to see what they would recommend on my shopping habits probably the sunday sport.